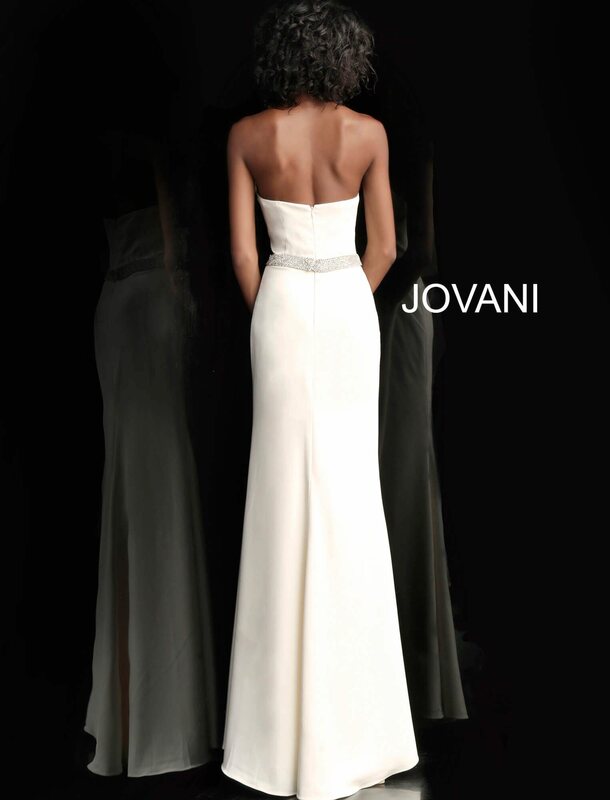 Look like a Greek Goddess while wearing this lovely Jovani 66683 dress. This dress is strapless with the cat eyed ear neckline. There is a beaded belt that goes around the waistline. This dress ruches at the side to create a slimming appearance. There is a slit on the right side of the dress. This dress has a back zipper enclosure.